Mmm, I liked these chicken strips. The breading was tasty and it wasn’t greasy. The mashed potatoes and gravy were tasty, and I also liked their bbq dipping sauce. This was my first time at a Roy Rogers and I’ll say that it was pretty good. 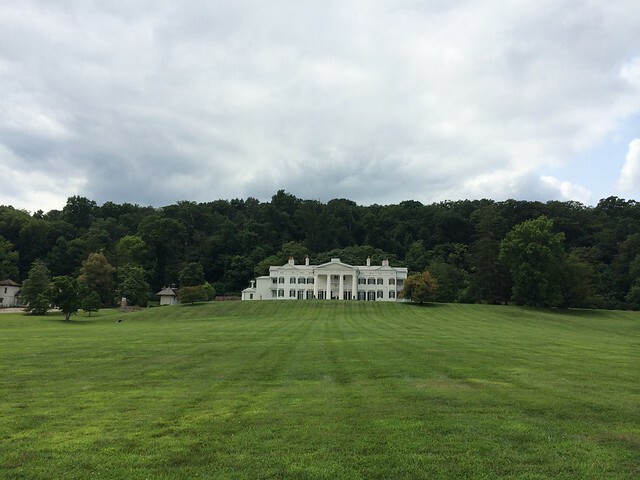 Davis mansion, Morven Park, Leesburg VA. This entry was posted in Fast Food, Roy Rogers and tagged food, lunch by vicentesf. Bookmark the permalink. 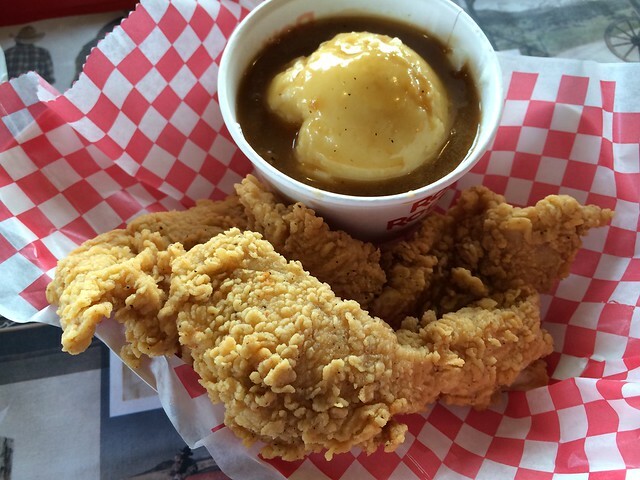 …is that what i think it is…a scoop of mashed potaters swimming in 3 gallons of gravy?? they just get me.